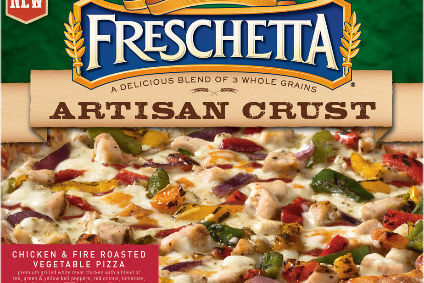 The 380,000 square-foot factory is operated by Schwan's subsidiary, SFC Global Supply Chain, and produces pizzas under the company's namesake brand and those of Freschetta and Red Baron. It also supplies schools and its partner companies. "We're extremely excited to be in a position to grow our team in Florence and meet the increasing demand for our foods," said Larry Earle, Schwan's senior director of manufacturing at the facility. "We look forward to meeting people who are interested in joining our team." Market speculation has circulated recently Schwan's may be up for sale despite the $34m invested last year to update the pizza crust bakery in Florence. In December, industry sources said the privately-owned company was eyeing a sale that could fetch as much as $2.5bn, with news channel CNBC saying it had reportedly hired investment bank Piper Jaffray to review "options". And then in June, South Korean processed food manufacturer CJ Cheiljedang was reported in the media as having Minnesota-based Schwan's on its wish list after saying it was seeking to make acquisitions in the US frozen category to expand its presence in overseas markets. "As part of efforts to strengthen competitiveness in [the] overseas food business, we are considering the acquisition of a US processed food company but nothing has been decided so far," Cheiljedang said in a regulatory filing.